Bitbond GmbH is a global lending blockchain based platform for small-to-medium enterprise (SME) loans. They support business owners from all over the world, with fast-paced and affordable financing. 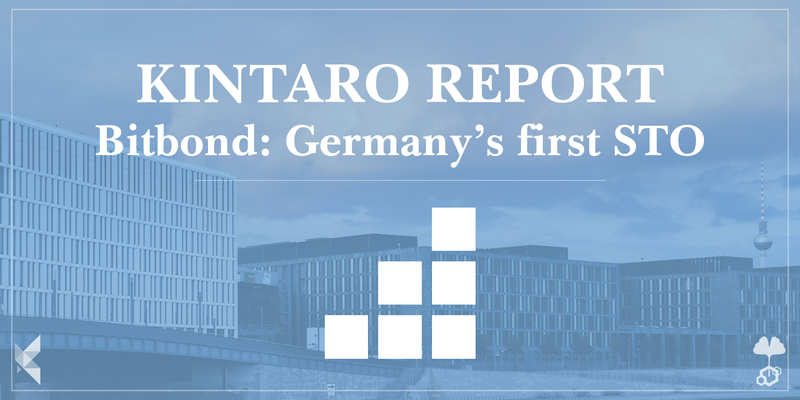 Bitbond Finance GmbH, a 100% subsidiary of Bitbond GmbH, announced their STO in Feb 2019 which is Germany’s first BaFin regulated blockchain company. Bitbond Finance address two major problems which are low transaction speed and high cost from the SME’s side in order to avail funding and how to handle high default rates. Bitbond makes use of blockchain technology to transfer loans to SMEs within minutes across borders with almost no cost. This enables global lending. In order to reduce the default risk, they use a machine learning algorithm to estimate each individual’s risk probabilistically, thus acting as a bridge between investors and the SMEs. What started off as a peer-to-peer lending platform (2013), and with seed funding of €200k (2014) from Point Nine, progressed its way into a leading business when it acquired a license from BaFin (2016) and then subsequently migrated to Stellar from Bitcoin blockchain (2018). Their business model is to close the funding gap that exists in global lending market, which was quoted to be €2.6 trillion by the World Bank in 2015. The main source of revenue is a service fee which is a combination of origination fee and repayment fee. Bitbond has looked very promising over these years and has received more than €5 million equity funding, and financed 3000+ loans worth €13 million. The switch to using Stellar blockchain as a platform has helped the entire concept of seamless lending become possible. It integrates instant funding at almost no cost across borders by processing up to 1000 transactions per second at the cost of only 0.00001 XLM; which is equivalent to 1/1,000,000 USD per transaction. Headquartered in Berlin they have an impressive and diverse team of 26 employees from 13 countries with the C level management having a combined experience of over 40 years. Some of the major investors are Point Nine Capital, SkyLevel Group, Hevella Capital and individual investors Nelson Holzner, Christian Vollmann, Alexander Graubner-Mueller. 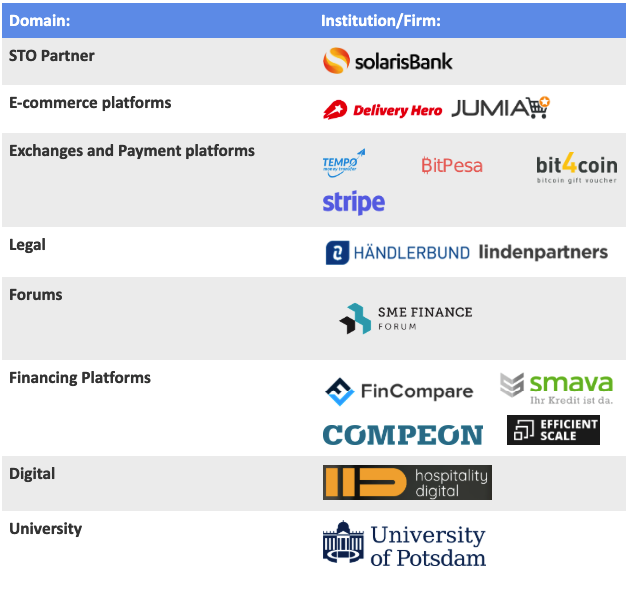 Their partnership base can be broadly classified into three categories with SolarisBank for its STO, Jumia and Delivery Hero as its business partners, and finally on the technical front with Tempo and Universities. The technology Bitbond uses is Tempo’s EURT, a Stablecoin for transactions that eliminates volatility risk from the market. The platform allows investors to convert Fiat into EURT and puts transfers the EURT to the borrower’s account which the borrower can take out as Fiat back again. This eliminates the need for the end user to actually know the nitty-gritty of the underlying blockchain tech, or even the existence of Stellar behind the scenes. Each borrower has to undergo a series of steps to get registered to the platform. After having registered the machine learning algorithm gives credit scores based on individuals default probability which will be used to determine the risk associated with each individual. The STO was announced by Bitbond Finance GmbH in March 2017 with the security token named BB1 built on Stellar blockchain. BB1 has a nominative value of €1 and behaves like a bond which provides a constant cash-flow for the investors in various ways; through a fixed income of 4% annual, and a revenue share of 60% of Bitbond Finance’s profits. The BB1 tokens can be traded in decentralized Stellar exchanges. The funds raised during the STO will be used primarily to fund the SME loans and finance junior notes. At present, the loan origination is close to €13 million and looks like they plan to project this growth to €25 – €50 million by the end of 2019 and reach €1 billion by 2022. At maturity, Bitbond Finance will buy back the token at the original price of €1 after 10 years. With an effective business model in place and addressing the problem of SME loans through low-cost blockchain and estimation of default risk through machine learning makes Bitbond a truly global lending platform. This coupled with a diverse team and strong technology backing behind, we strongly believe that Bitbond has an edge over traditional lenders and other online lending platforms.